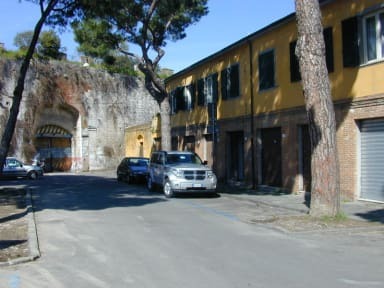 The New B & B 'A Casa Doina' is situated in the beautiful palace of the '900 in the historical square of 'Baths of Nero', 200 mt. from 'Square of Miracles'. The structure are 8 rooms is very bright and quiet, with the single, double, triple and four or five people, composed of comfortable beds, and individuals. The eight rooms shared three bathrooms. 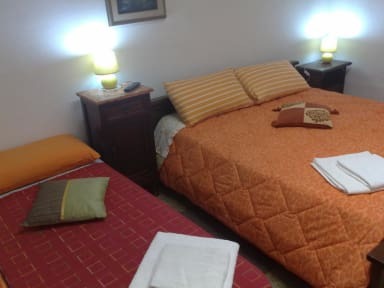 The rooms are furnished with TV- LCD, towels, bed linen, air conditioning, wi-fi, Shared bathroom (3 bathrooms) equipped with hairdryer and shower. from large windows and terrace you can admire the Leaning Tower and the beautiful Piazza Bagni di Nerone. Property may pre-authorized first night in order to secure booking prior to arrival. Check-in: From 14.00 to 22.00 at different time, agree advance with the hotel. Please tell us the time of your arrival. Furthermore, as we could be temporarily absent, please call 30 minutes before reaching the B & B for the delivery of key 1 Child under 3 year old sleep for free when sharing existing bed.